Killing a Jew is due to “extenuating circumstances,” the killer “criminally irresponsible.” You don’t understand because he shouted “Allahu Akhbar?” Ask the French courts. 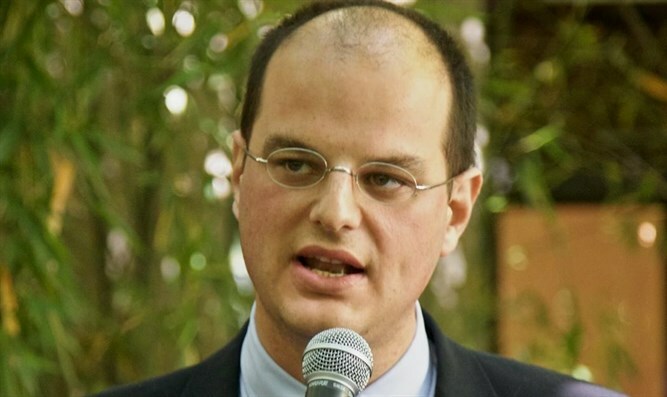 The writer, an Italian journalist with Il Foglio, writes a twice-weekly column for Arutz Sheva. He is the author of the book “A New Shoah”, that researched the personal stories of Israel’s terror victims, published by Encounter and of “J’Accuse: the Vatican Against Israel” published by Mantua Books.. His writing has appeared in publications, such as the Wall Street Journal, Frontpage and Commentary. Sarah Halimi was a 65 years old Jewish retired doctor. She lived in the 11th neighborhood of Belleville. She was murdered two years ago, at night, by her neighbor, Kobili Traore, who shouted “Allahu Akbar”. A crime? Not at all! Anti-Semitism? Don’t joke around with me! Islam? Don’t make generalizations, you racist fear monger! The “experts” have decided. Traore was crazy, therefore he is “criminally irresponsible”. Hence the shameful conclusion of not instituting a trial, as if Sarah Halimi had not been killed just because she was Jewish. At the beginning, the judiciary’s omission of the aggravated element of a hate crime caused by anti-Semitism was a cover up of the anti-Semitic character of the horrible crime. Now anti-Semitism is denied by the lunatic nature of the terrorist. The French media covered Halimi’s death only two months after it happened. If you drink two glasses of wine before rolling someone up with your car, that is an “aggravating circumstance”. If you shout “Allahu Akbar” and “Satan” before throwing an old Jewish woman out of her apartment window, that’s an “extenuating circumstance”, especially if you’ve smoked cannabis before the homicide! Crazy – the French Muslim barbarians who tortured the Jew Ilan Halimi to death. Crazy – the French Muslim barbarian who burned Mireille Knoll, a Holocaust survivor, to death in her bed. Crazy – the French Muslim barbarians who slit the throat of the priest Jacques Hamel in his church. Crazy – the French Muslim barbarian who shot to death the Jewish children in Toulouse. All were insane, all were crazy. Crazy as the few brave ones who shouted the alarm in the West, those “crazy Islamophobes” who need to be isolated. France has just given the green light to the next murder of Jews. But maybe we’re just all crazy.